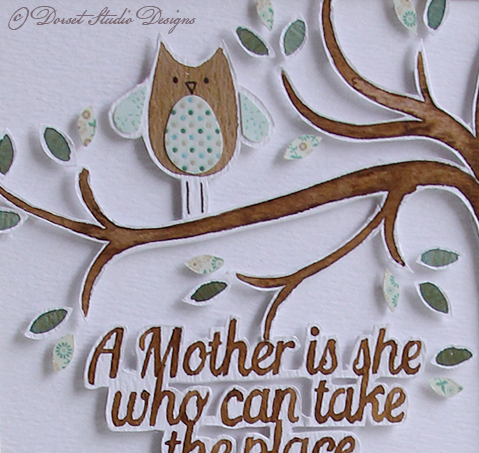 Following the requests I have had for my cards, I was asked if I could do a bigger version of the owl design, using this quote, for Mother’s Day. I chose to do a muted green and cream and brown colour theme, which works well with the vintage papers I used in the design. Again as with my cards, I use a really nice quality off white textured card that is 300gsm and acid free. 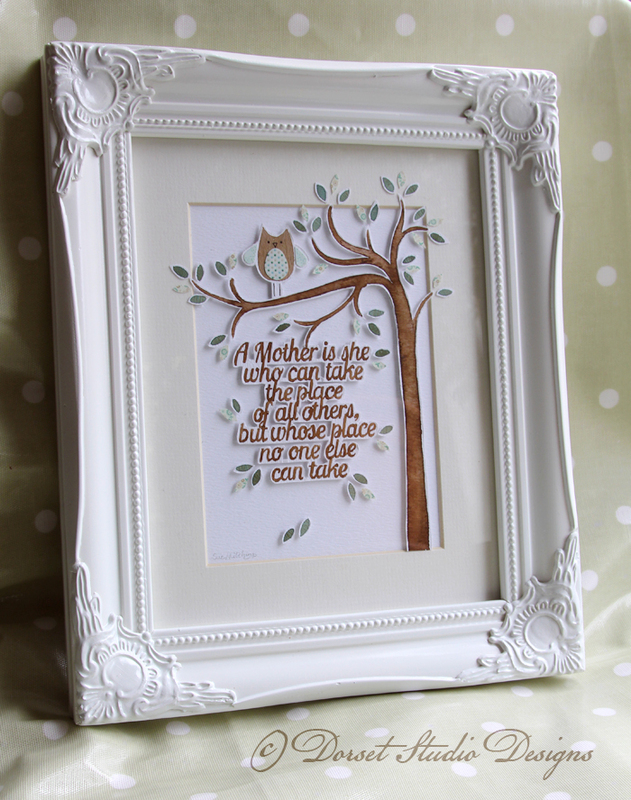 Drawn, hand painted and then cut out and arranged using a 3D effect, which casts lovely shows and stops a flat look to the over all design. The leaves as you can see creep out past the mounts boundary to soften the effect. These are customisable designs, and can be created in blues, pinks, purples, aquas and browns. Please email me to place an order for one.